We Check Hotline, the Retro “Miami Vice Inspired” Online Slot From NetEnt! 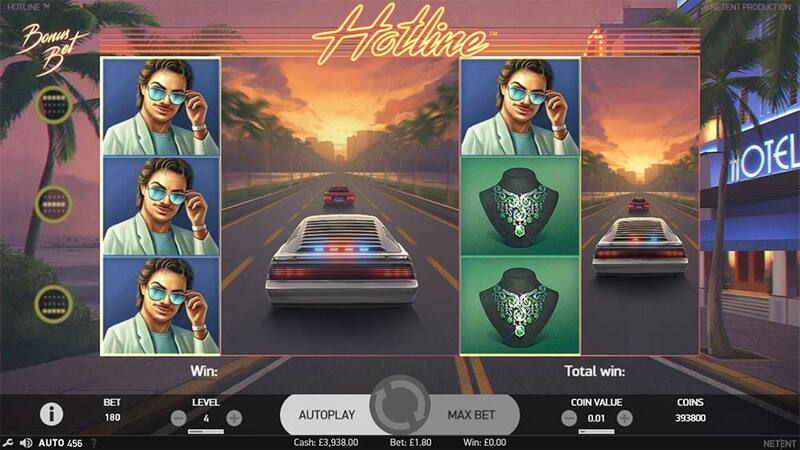 Energy Casino has recently added the retro-themed Hotline slot from NetEnt to their casino, step back to the 1980’s and indulge in the lavish lifestyle of the Miami police, in a tale of jewel thieves and car chases which has been heavily influenced from the popular Miami Vice TV series. The opening Intro movie and retro synth soundtrack do a brilliant job of setting the scene for the Hotline slot, one thing you can generally rely on from NetEnt is a graphically slick release! 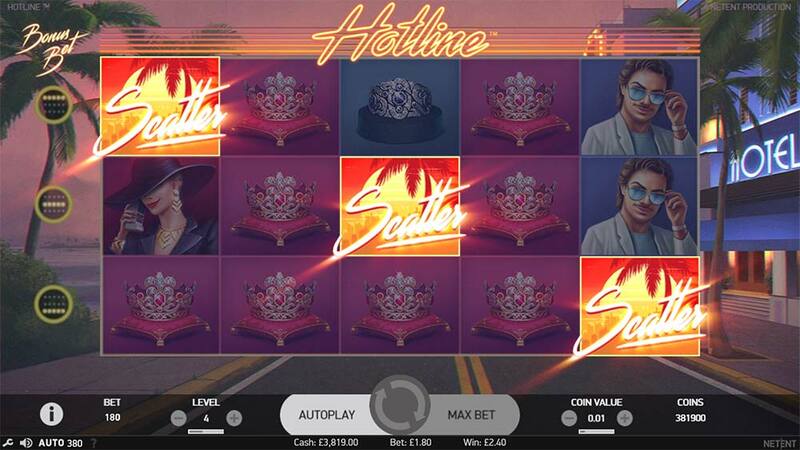 The Hotline slot is a regular 5×3 reel slot with 30 paylines but does introduce a couple of new interesting features to get your teeth into, firstly there is a special Hotline Bonus Bet feature which is activated by clicking any of the 3 rows to the left of the slot which then become highlighted in yellow with “Hotline” splashing across the reels. In normal base gameplay which costs 15 credits just 1 of the Hotlines are active, you can, of course, activate all 3 of the Hotlines but pay a premium of 45 credits to have all 3 activated whilst the paytable coin values remain unchanged, basically you pay a premium price to have all of the functionality activated. The advantage of having all 3 hotlines activated is thanks to the special Expanding Wilds feature, when a wild symbol lands on an activated Hotline this will expand to cover the entire reel (Wild Reel) and grant a re-spin of the reels, if any further wilds land on any hotlines this process then repeats, with full screens of wilds possible. 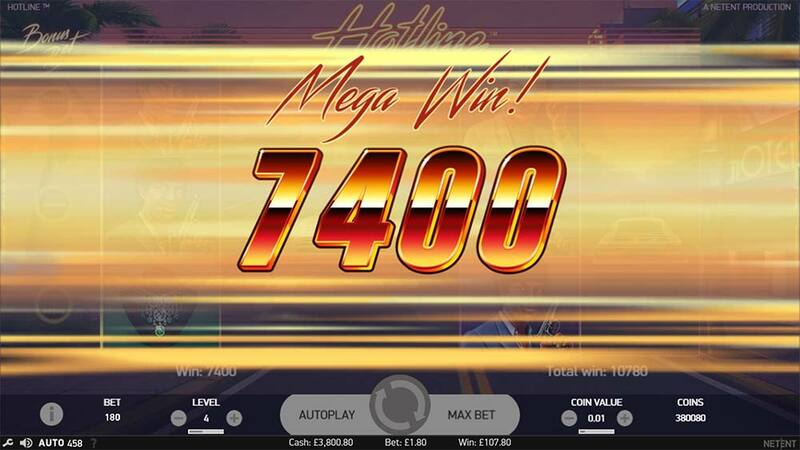 Things heat up even further during the bonus round which is triggered by the 3 regular scatter symbols, with 7 free spins awarded, during the bonus any wilds that land on hotlines during the free spins remain on the reels for the rest of the bonus round. You can check out all of these special features in the Hotline gameplay video below. 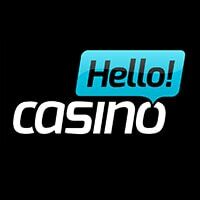 Hotlines are activated from the left side of the reels, there are 3 Hotlines to activate in total and these cost 15 coins per bet level to activate (45 coins max level). When a wild symbol lands on any active Hotline it will expand to cover the entire reel and grant a re-spin of the reels, if any further wilds land on Hotlines then this process continues. 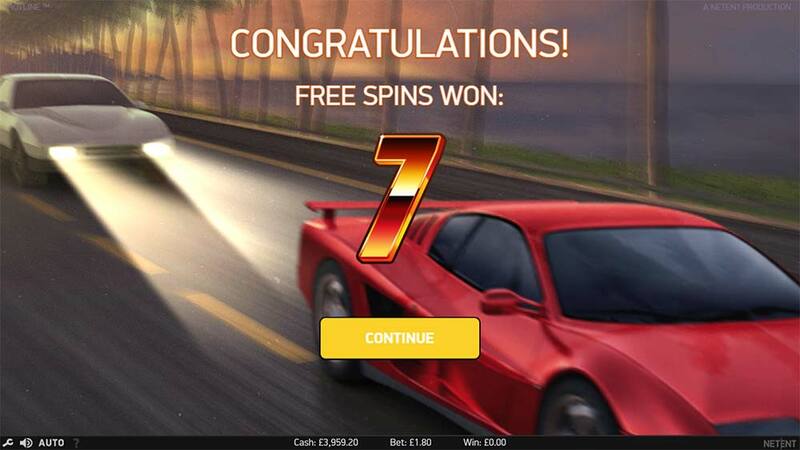 The Free Spins bonus round is activated by landing 3 scatter symbols on reels 1, 3 and 5 and grants you with 7 free spins with no re-triggers possible. During the bonus round the same Expanding Wilds feature is activate so any wilds that land on active Hotlines will expand to cover the reels and remain in place for the duration of the bonus round with a full screen of wilds being a possibility. 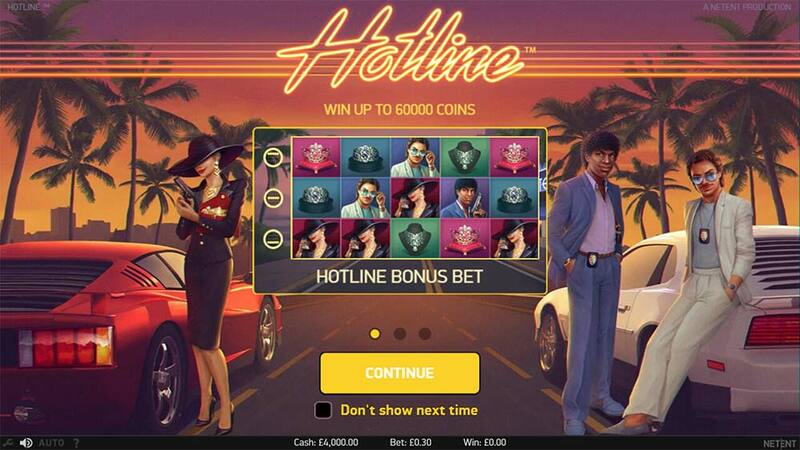 In terms of design, the Hotline slot is decent release from NetEnt, the “Hotline bet feature” is novel and offers players a variety of different betting options which in turn affects the volatility and overall RTP levels of the slot. In our playtests, we did manage some decent base game hits with up to 3 wild reels activated with some similar results in the bonus round but when you factor in the “extra bet” costs of having all 3 Hotlines activated these wins don’t seem too impressive in terms of the bet size. 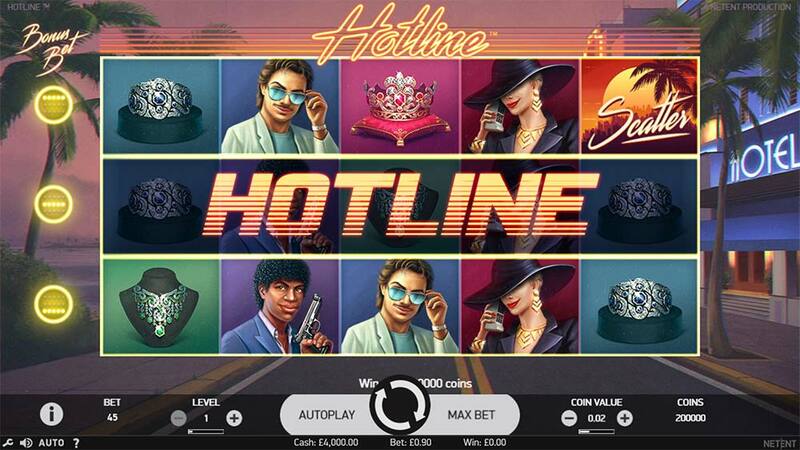 Overall Hotline is a decent and fun slot to play, whilst lacking in overall win potential the game is enjoyable to play and offers plenty of excitement when several reels are turned wilds with a re-spin waiting.